This seemingly simple declaration sets the reader up perfectly for what follows. Readers instantly know this is going to be a first-person account about someone who abused a woman multiple times with some expectation of how this action would be received and/or perceived. While this is indeed an accurate description of the novel, Liz Nugent is also able to guide the reader’s experience in unexpected ways with these opening words. The “I” in this sentence clues readers in regarding the first-person point of view that will follow. However, readers will discover that the first-person narrative is actually told from multiple viewpoints and it is only when these snippets are examined in context of each other that a real portrait of Oliver Ryan comes into focus. While Oliver is the man who made this first statement, it quickly becomes clear that even he does not have all the answers. Let’s back up a bit to set the scene. Unravelling Oliver is the story of Oliver Ryan, a celebrated children’s book author who publishes – and now lives – under the name Vincent Dax. As the novel opens he is physically abusing his wife Alice to the point that she ends up in a coma. However, the real story set forth in the novel is a documentation of how this man came to be in this place doing this horrible thing. What follows for readers are short snapshots of Oliver’s life as seen by those closest to him. The interweaving of these vignettes combine to illustrate how we as humans are the sum of our experiences and sometimes even we are not strong enough to alter our own destinies. Liz Nugent infuses each of these personalities – among them, Oliver’s childhood friend, his first love, Alice’s ex-boyfriend, and more – with a unique voice, allowing readers to dip in and out of Oliver’s existence at those crucial moments that dictated his path in life. The use of first-person in each of these sections creates a feeling of immediacy for the reader, even though much of what is being described are memories. For Oliver, the past is very much still alive. 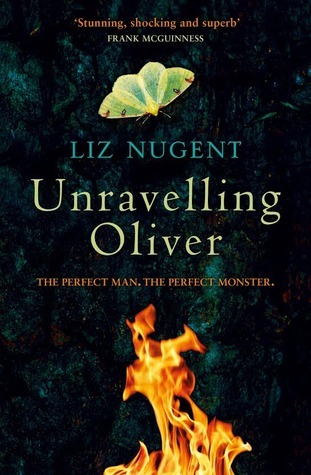 Liz Nugent has previously had success writing short stories, so when readers notice that Unravelling Oliver comes in at just under 250 pages, it will not come as a surprise. But as with most short stories, every word in this novel is carefully thought out and important to the whole. This length makes for a very quick read, but the style makes for a book that can also be examined closely and slowly over multiple readings. The calculated nature of the narrative never feels manipulative and Liz Nugent succeeds in not passing judgment on any of the characters. Instead, she allows readers to form their own opinions based on the information revealed. Unravelling Oliver is a beautiful tapestry in which the final image is always uncertain and slightly menacing. Please note that this review is based on the UK edition of the book. The above link will take US readers to The Book Depository where they can obtain this (and other) overseas releases. Hopefully a US edition will be announced soon. US edition has been announced for August 2017.